Judging from the strata making up the sedimentary bluffs bordering Smith Creek, there’s nothing new about this area geologically, but public access to this jewel is new. Thanks to Marty and Elise Roenigk, who transferred their property to the Nature Conservancy to establish Smith Creek Preserve, this area will be protected from development and destruction. If you hike this trail, please tread lightly and leave as little impact as possible. The “trails” are almost exclusively old roadbeds. When the trail moves away from the roadbed, watch for round yellow arrows that indicate the route. 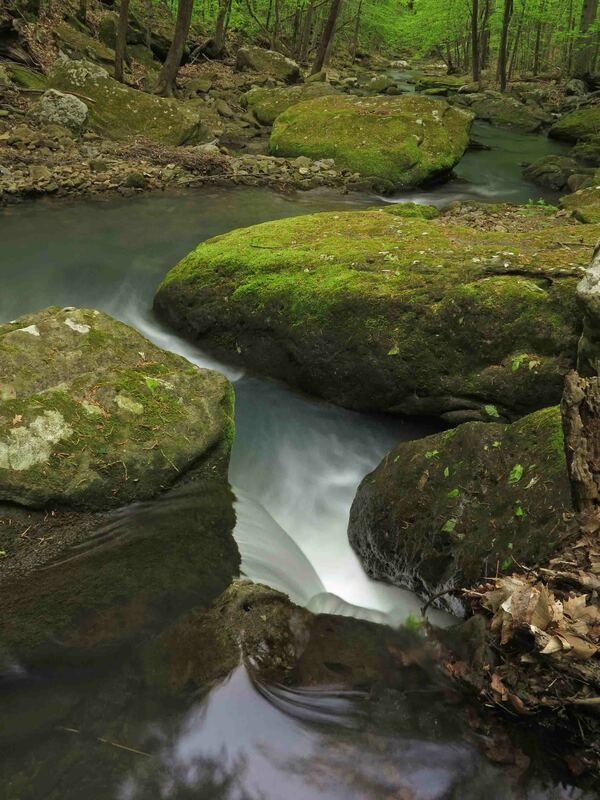 Smith Creek is small and unassuming, but its beauty is rich and varied. I began my hike with a headlamp and had no trouble following the main road that leads alongside Smith Creek to Big Spring. I then did the Lower Trail and visited Elise Falls before hiking back to the trailhead. My route was approximately 5 miles. I took almost five hours, not because of the difficulty, but because of the need to stop for photo-breaks. I finished up around 11:00 a.m. and had the whole place to myself. A couple arrived as I finished my hike. What follows are a few photos from my Saturday morning hike. 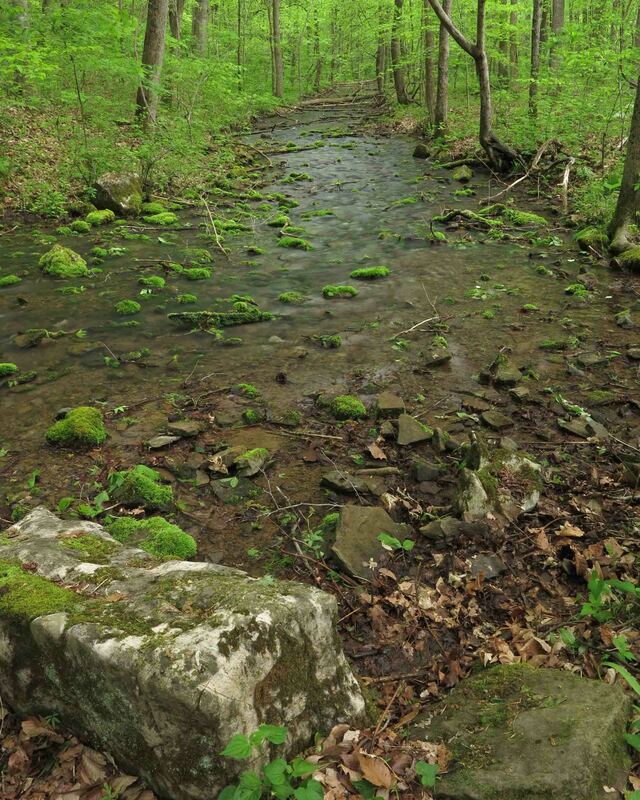 Update: October, 2016 – Five Star Trail: The Ozarks includes a map, driving directions, GPS coordinates, and a trail description for Smith Creek Trail. I wanted to step onto the large boulder in the center of Smith Creek, but the gap between rocks is deceptive in this photo. I wasn’t willing to try the jump. The drop looked like more than fifteen feet down to the water. The boulders are much larger than can be communicated with a photo lacking humans for scale. Little falls are sprinkled all along the creek. View downstream from a little cascade. Round arrow markers indicate a spur from where the trail crosses the dry wash below. Following these arrows down the drain will bring you to another stream and Elise Falls. Watch your step because weathered limestone can be very slippery! A small bluff next to a dry wash close to Smith Creek. Seeing Big Spring was a highlight for me. This is no small seep! 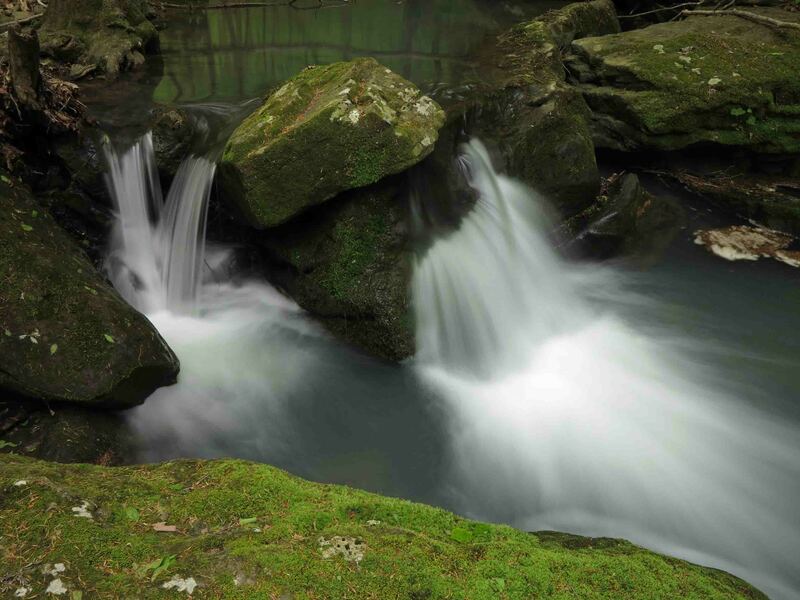 It puts out a high volume of water and forms a small stream that flows a short distance before joining with Smith Creek. 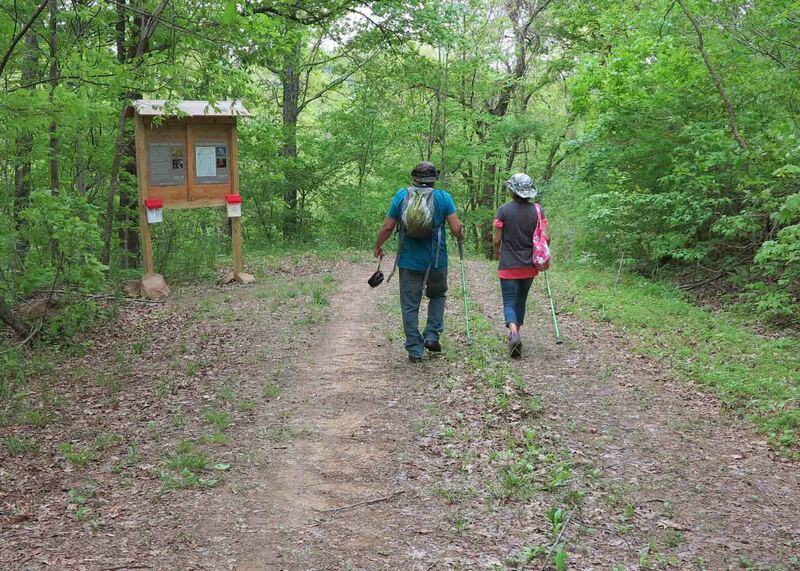 The Smith Creek Trailhead is located on AR 21, eight miles south of Ponca. 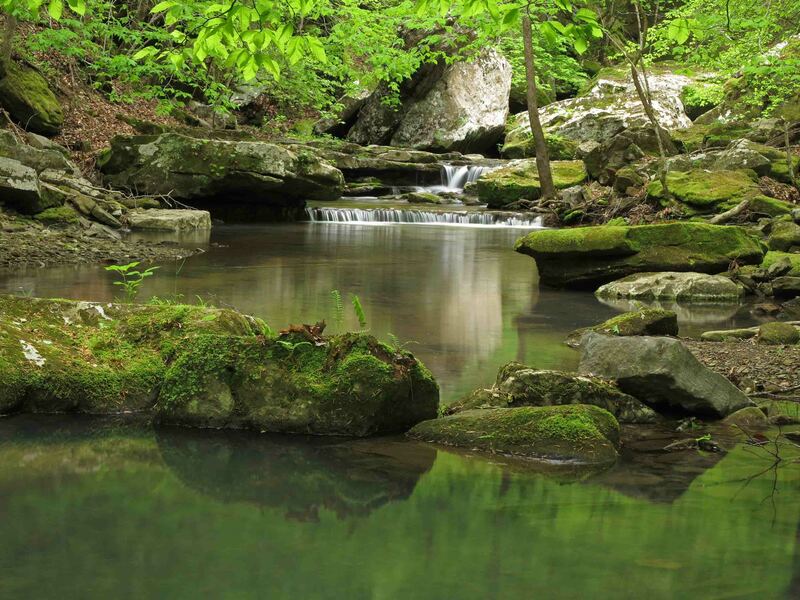 Visit nature.org and search for Smith Creek Preserve to find more information. The trail kiosk had maps and brochures for visitors similar to what is available online. 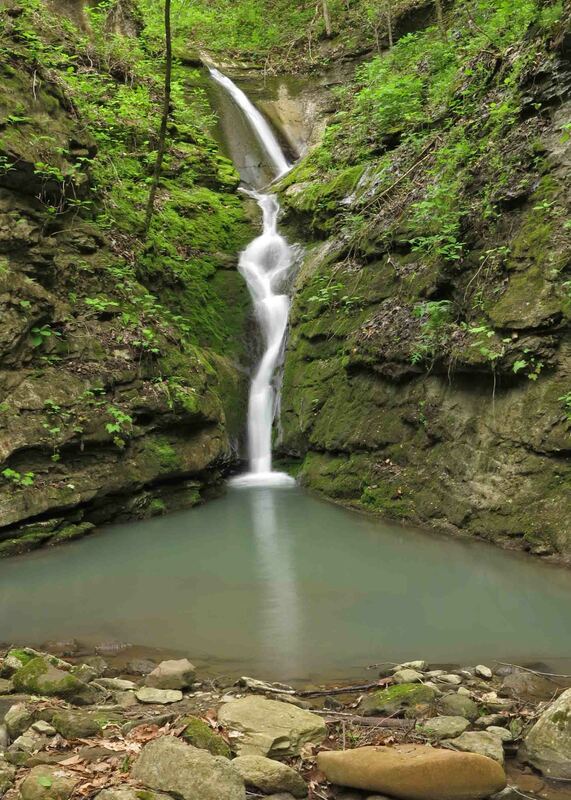 This entry was tagged Buffalo River, Elise Roenigk, Marty Roenigk, Ozark hiking, Ponca Arkansas, Smith Creek Preserve, Smith Creek Trail, The Nature Conservancy. Bookmark the permalink. I did not know about Smith Creek Preserve. That’s fantastic. Great photos. 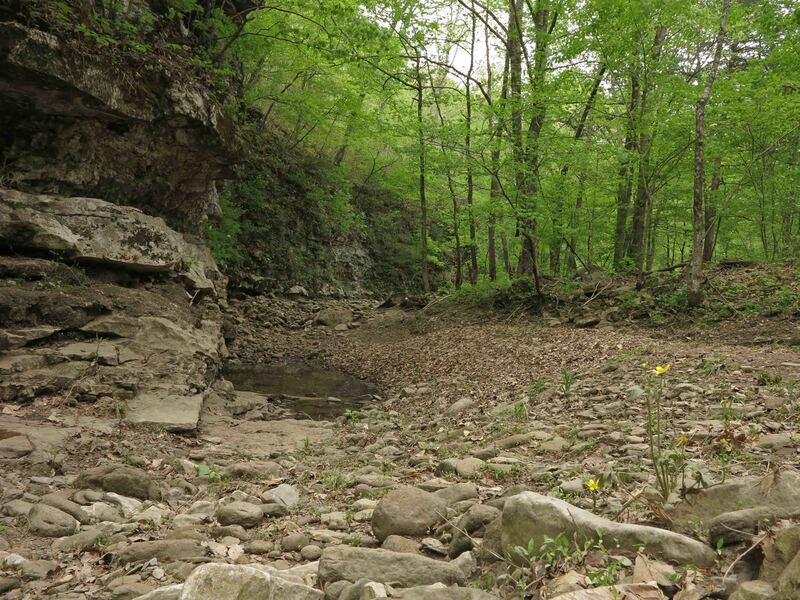 Interestingly, underneath the area is a large cave housing the largest population of Indiana Bats in all of Arkansas. I need to get back here now that all of the trails are finished. There is a small sinkhole just past the footbridge next to the trail. What wonders might be found below in this area? I look forward to my next visit. Looks like a great place. Will have to get up there soon. Thanks for posting pictures of this beautiful area. 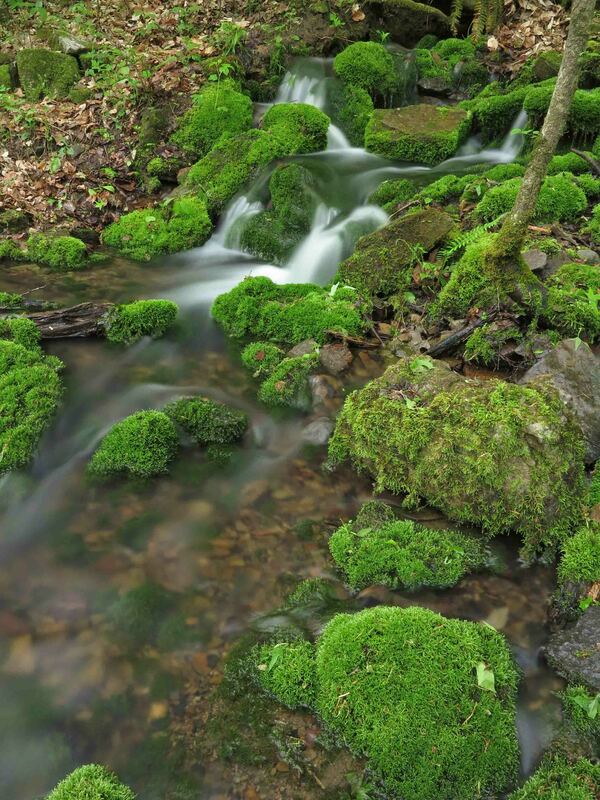 Thanks for your photo/essay on Smith Creek Preserve. I spent many hours along Smith Creek during my college days and I am looking forward to heading back now that they have a trail through there. This is truly a most unique area and is home to one of most impressive cave systems that I know of. I was thrilled when I originally found out that this entire area had be preserved for future generations. Keep up the good work. Would enjoy exploring the area with you in the future. Good to hear from you. 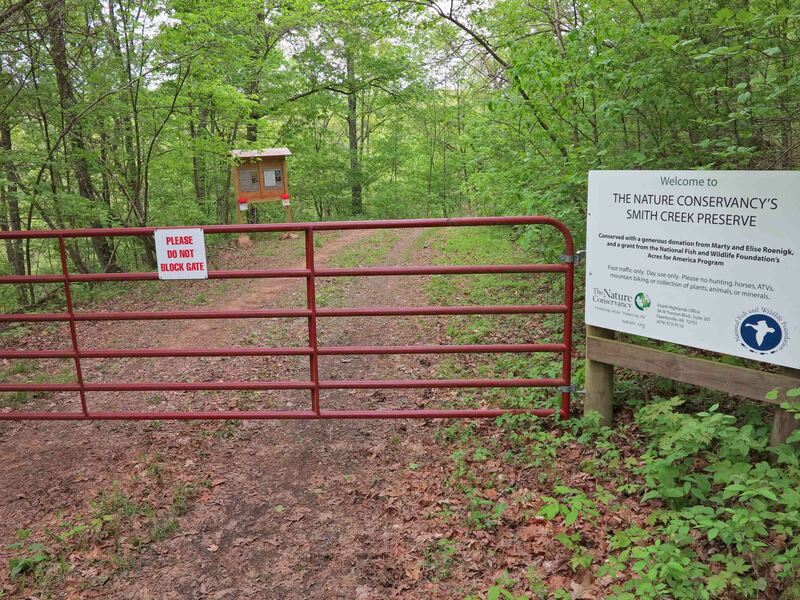 The Nature Conservancy (who owns the Smith Creek Preserve) will be building a new overlook trail to the west side of Highway 21 from the current entrance. This will feature a trail following an old logging road then a hike down to an overlook. We hope work will begin the summer. Jim, Thank you for sharing such beautiful pictures and eloquent descriptions. You captured so much of what is special about Smith Creek. The Nature Conservancy is fortunate that Marty and Elise wanted to work with us and that Walmart wanted to fund this acquisition. And special thanks go to volunteer leader Harvey Williams and his many groups of volunteers for developing the trail system and interpretive information. Thanks for reading and for mentioning some of those who’ve made the protection of Smith Creek possible. It was a joy to see and I look forward to visiting again. What a gorgeous place! I am new to AR and look forward to visiting soon. Marvelous photos. Thank you so much. Me and a buddy just got home from Smith Creek, thanks to this blog! I wish there was one word to describe Smith Creek. It is a wild place that perfectly captures the destructive forces of water. I can’t wait to go back and explore the creek a little bit more. 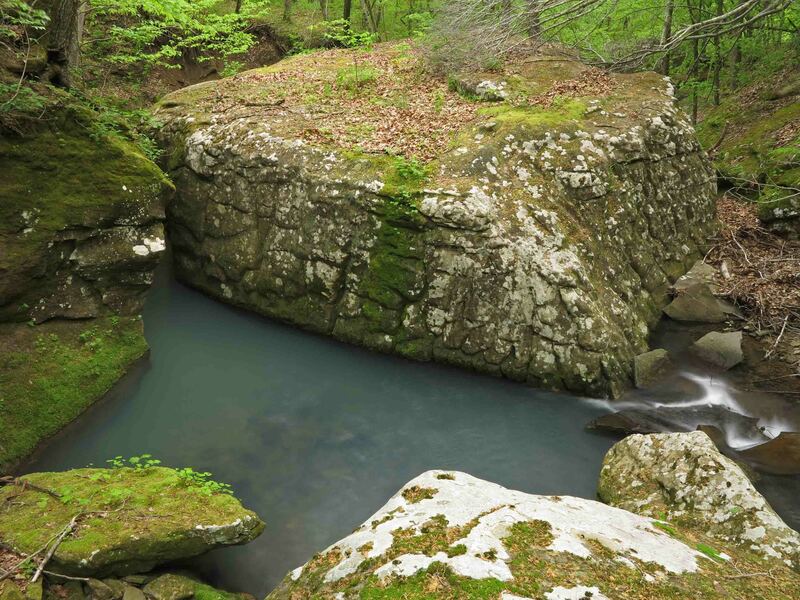 This is definitely one of the ultimate gems on the Buffalo River, and I know the area like that back of my hand. Thank you for sharing! Please help keep this fraglie area pristine! Pack it in pack it out. It pleases me that my blog led you to explore Smith Creek! Thank you for reading and for your interest in taking care of this beautiful area. I’m looking forward to seeing fall colors on the surface of Smith Creek!